Yes, America it’s finally safe to eat Romaine Lettuce again! This Grilled Romaine with Truffle Dressing is the perfect recipe to ease back into romaine consumption. And talk about a tasty recipe to pair up with ANY grilled meats this little side salad topped with truffle dressing is a savory treat for the mouth. Grilling everything including your salad means fewer trips to the kitchen to check on everything. You simply set up, grill and enjoy a perfect night outside! No running to check on the veggies cooking. Or popping back inside to see if your salad is prepped. Just haul everything out once and get to work. Never made a grilled salad before? That’s ok I’d never made one either until this came along. I didn’t think it would work but low and behold you CAN grill salad on the grill. It’s a fun dish and just different enough to interest everyone! This beautiful grilled salad features romaine hearts and a truffle mayonnaise dressing. You can find truffle mayonnaise in many specialty food shops. Truffle Mayonnaise is a must have for unique salad dressings and as a condiment or dip. Uh hello, I’m never going to eat any other kind of mayo because Truffle Mayo kinda ruined me, in a GOOD way. 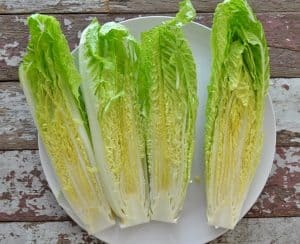 Yes, America it's finally safe to eat Romaine Lettuce again! 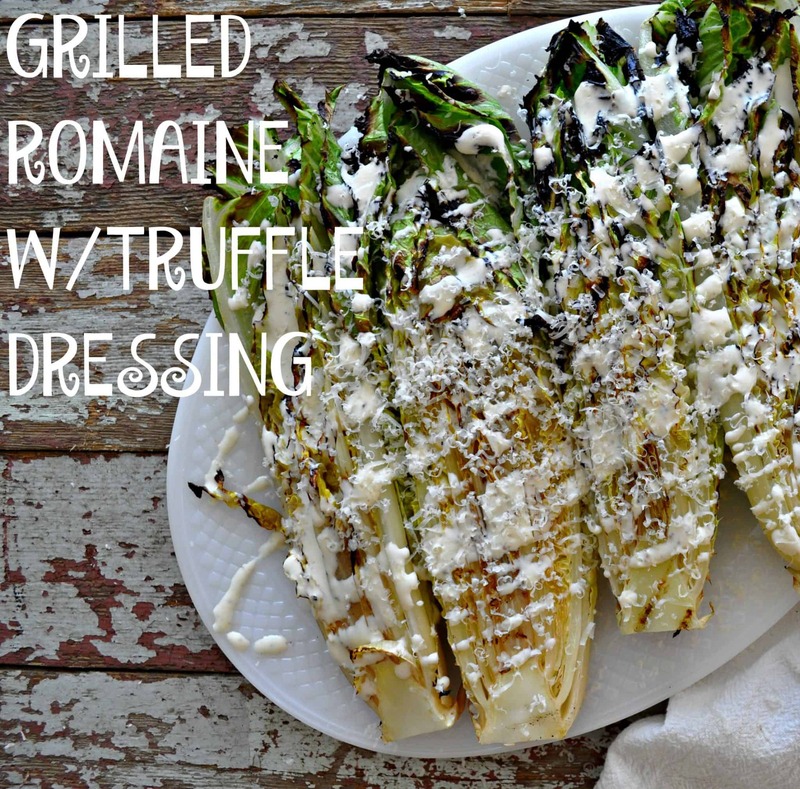 This Grilled Romaine with Truffle Dressing is the perfect recipe to ease back into romaine consumption. And talk about a tasty recipe to pair up with ANY grilled meats. Your grilled salad looks awesome!! Thanks Wendy–I LOVE Cookout Week!! I * love* your new blog logo! 🙂 And this looks delicious! Hey Van!! Happy to hear you like my new approach–and I’m glad you came by because I have HUGE thrift mystery to post next week and I need help identifying it! Thanks for your kind words! Wasn’t sure about it and then I tried–whoa! Mmm I love grilled romaine and I can’t wait to dig into my own jar of truffle mayo! You’re going to LOVE it–so tasty! This is my kind of salad!!! 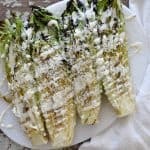 I have never tried grilled romaine, but I am so doing this!! Pinned! This looks delicious – love that bit of char on the lettuce! if you want to see it. I, of course, credited you with the recipe. Thanks.